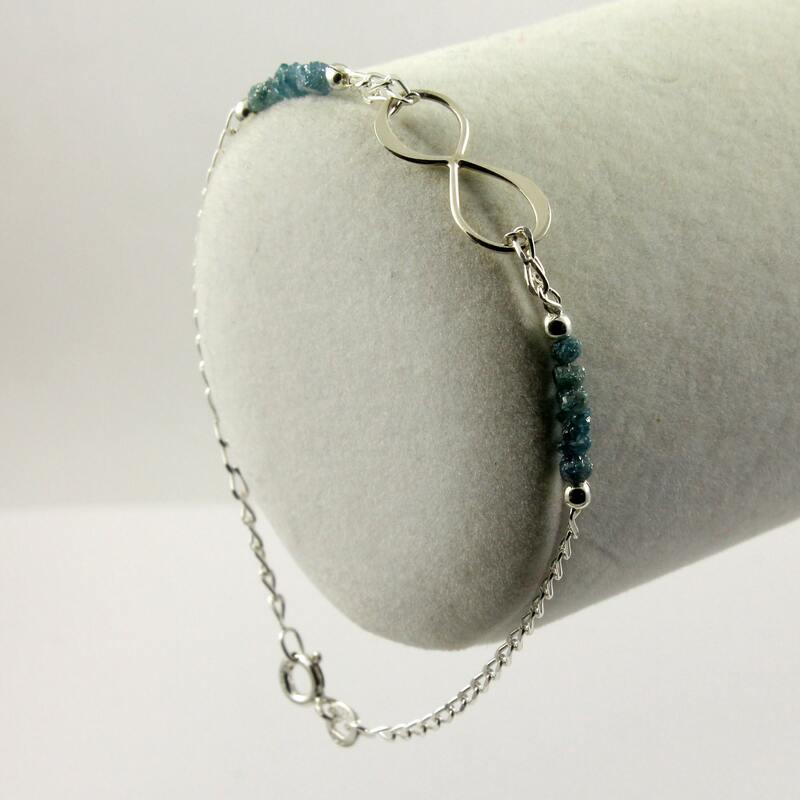 This classic and elegant bracelet is made of rare blue rough diamonds and infinity link with diamond-cut Sterling Silver chain. 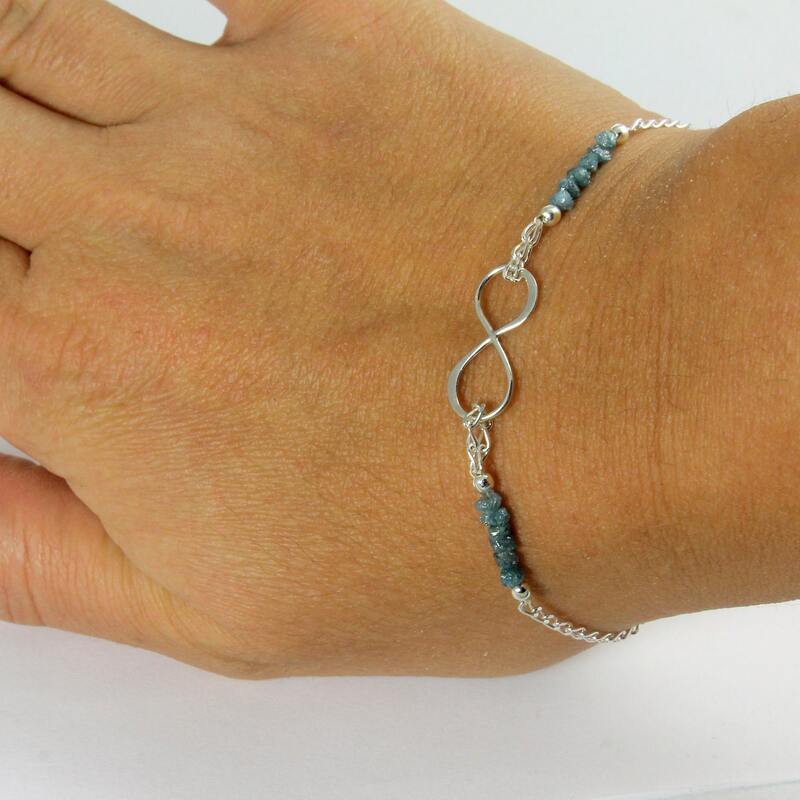 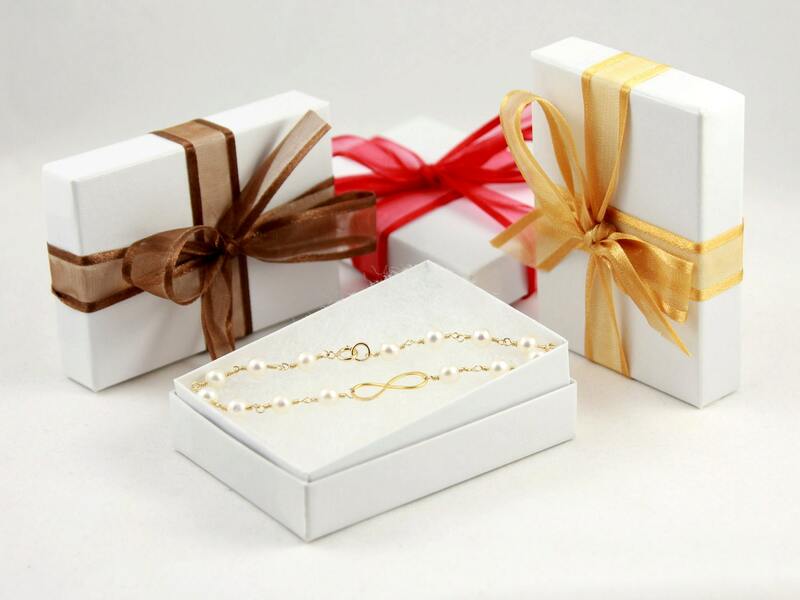 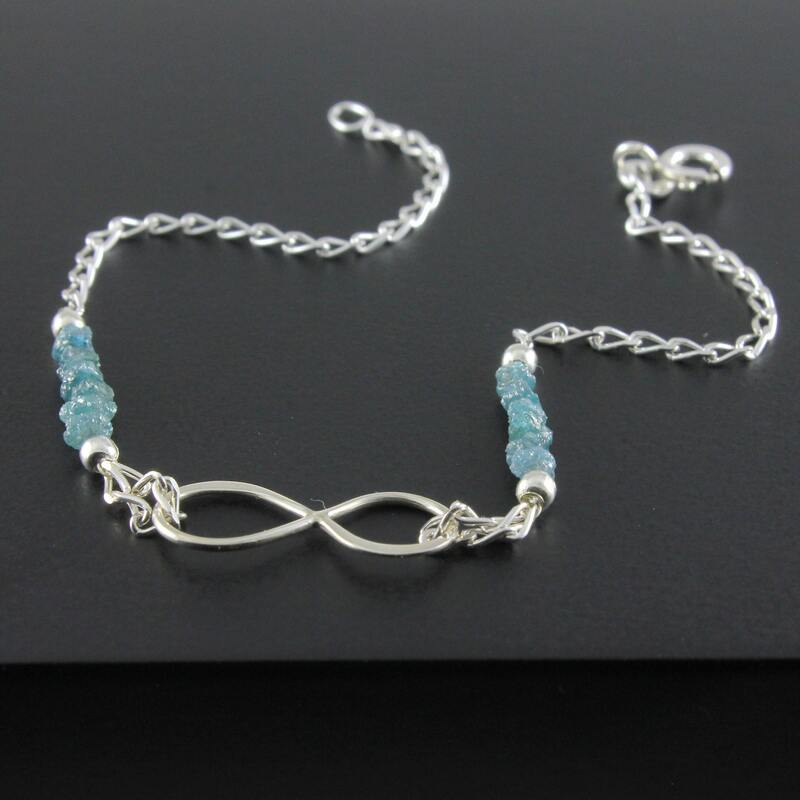 The figure 8 shape infinity charm measures 20 x 8 mm. 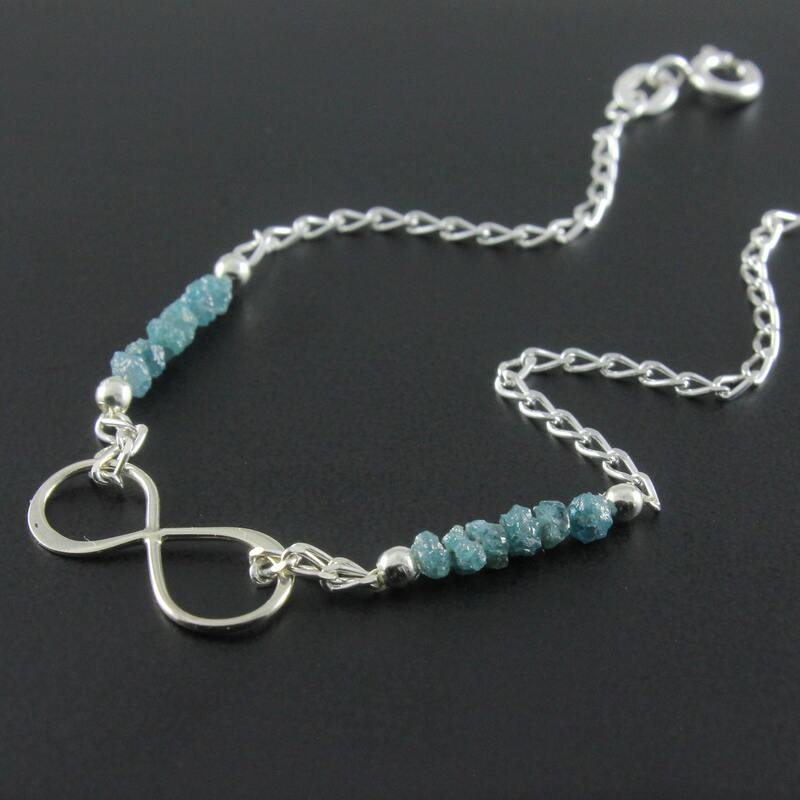 The blue rough diamonds on each side are assembled in half an inch length and measure approximately 2-3.5mm.